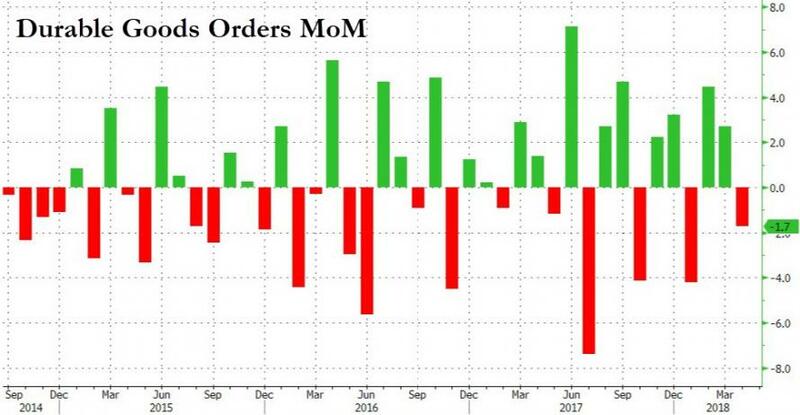 Following March's mixed bag of good orders improvement and shipments weakness, April's preliminary data showed durable goods orders tumbling more than expected (-1.7% MoM vs -1.3% exp, and down steeply from last month's 2.7% rise). 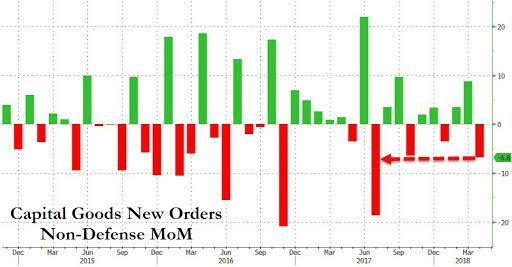 Aircraft orders weighed on total bookings: Boeing got only 78 orders for aircraft in April, down from 197 the prior month. Friday’s government report showed that orders for civilian aircraft and parts fell 29% in April after surging 60.7% in March. Outside of declines in machinery and civilian aircraft, the gain in orders was fairly broad-based, spanning computers, electrical equipment and metals. While the figures are typically volatile, the latest report indicates business spending continues to expand at a healthy pace. Orders placed with U.S. factories for business equipment rebounded in April even as the prior month’s figure was revised downward, indicating resilient demand at the start of the second quarter, Commerce Department figures showed Friday. 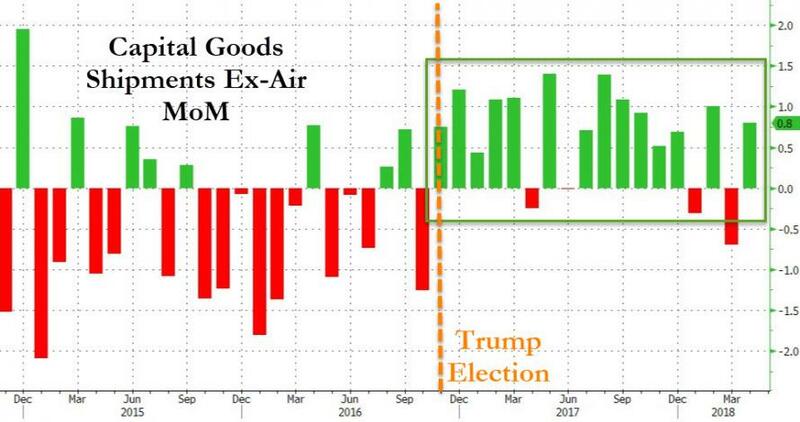 However, core orders and the capex proxy both beat. 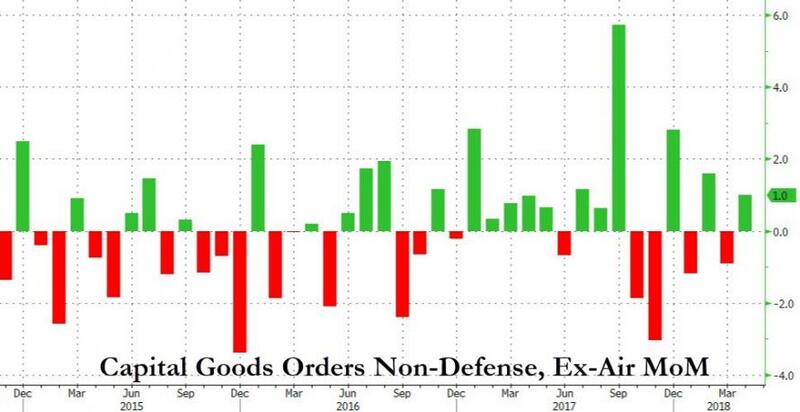 The chart below demonstrates just how big the drop in capital goods new orders excluding defense was: tumbling -6.8% M/M this was the biggest drop going back nearly one year. 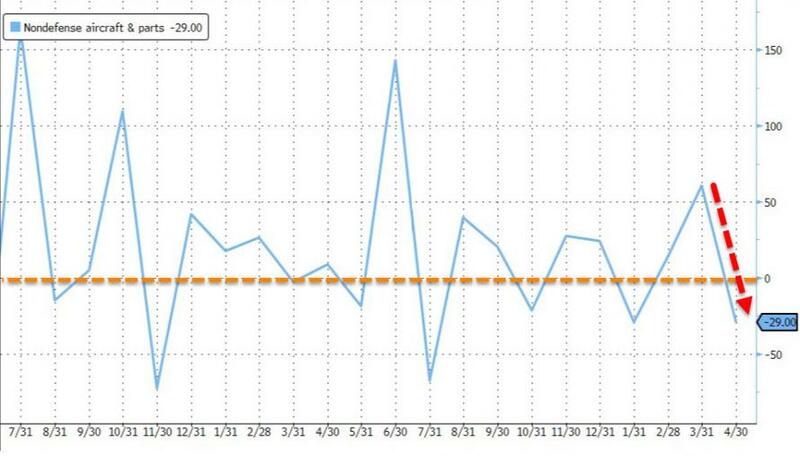 As Bloomberg notes, this suggests business investment continues to gather pace, joining consumer spending, helping to support a projected rebound in economic growth this quarter as demand gets a boost from lower taxes for companies and individuals.